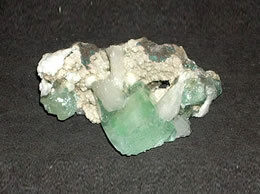 Weight 620 Grams. 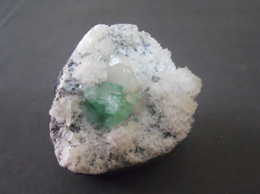 Size 11.5 cm x 9 cm. 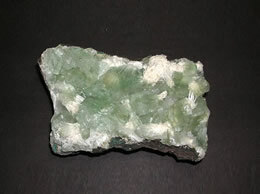 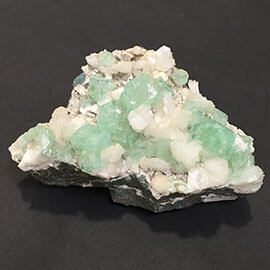 Rare Green Apophyllite specimen with Stilbite and scolocite. 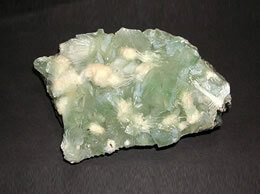 The combination of green apophyllite, stilbite and scolocite makes the specimen more attractive. 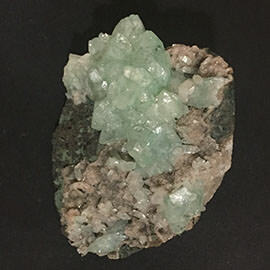 This specimen is mined from the famous mines in jalgaon in India which is famous for Rare rocks and minerals formation specially the apophyllite.